How do you replace the most successful football manager in your history if you are Manchester United? If it was me my initial reaction would be to look at the successful coaches around who have a track record at winning trophies. Instead of looking for a star like Jose Mourinho, Man Utd have decided to recruit on values. They have chosen a manager whose values fit with the club and who can bring a high level of performance from a club with a miniscule transfer budget. Recently in work we have been doing a lot of work on values, behaviour and culture. Inspired and reminded by Patrick Lencioni in The Advantage that in recruiting we should recruit for values as cultural fit is vital. At this week’s Leadership Conference I was intrigued to notice how Bill Hybels has added ‘culture’ to his c list (of character, calling, competency and chemistry). Jose Mourinho seemed an obvious choice for Man Utd in terms of his success and ability to deliver, however it was obvious that he wasn’t seen as a cultural fit, especially by Sir Bobby Charlton. Which leads me on to something I’ve noticed while looking at both Sir Alex and Jose, also highlighted by a friend on twitter last week. There is no doubting the track records of both managers in terms of trophies. It is interesting however to look at their ability to develop others – and by this I mean other coaches. 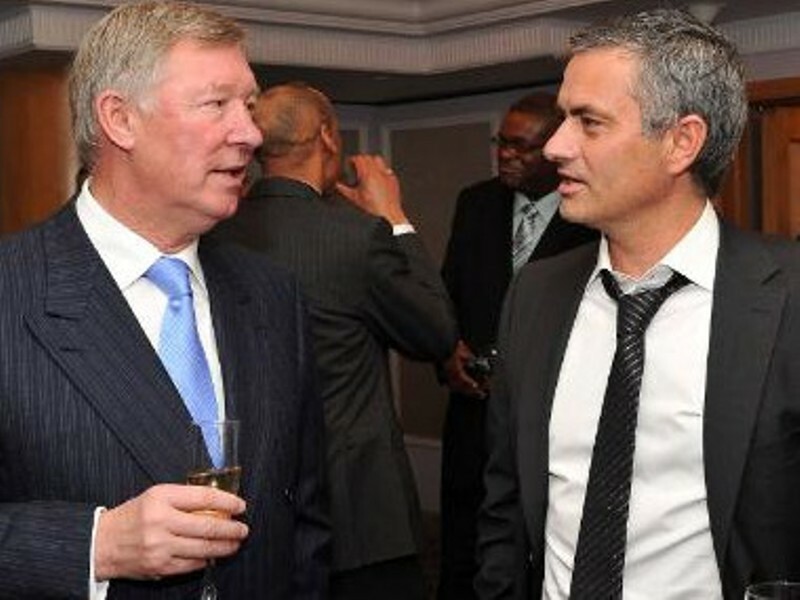 I acknowledge plenty of Ferguson’s former players have become coaches/managers. How many of Sir Alex’s assistants or coaches have gone on to become successful coaches in their own right? To my knowledge, none. Sir Alex is an old style manager/leader who appears to have a fairly autocratic style. He seems to choose people who will work under him but is not a developer. Jose Mourinho is a different story. Three of his backroom staff during his first spell at Chelsea are now Premier League managers in their own right. And very competent top eight ones at that. Brendan Rogers at Liverpool, Steve Clarke at West Brom and of course Andre Villas Boas at Tottenham. For me Mourinho models a different style of leadership that develops others. I have no doubt this is rooted in his experience of working under Bobby Robson at Sporting Lisbon and following him to Barcelona. Jose started at Sporting as an interpreter. Robson saw his obvious potential and invested in him, becoming a mentor. The culture of developing others that Jose experienced has also become something he now appears to espouse and model. Two examples of leaders who get results. One who appears to develop and release those under him into their own leadership, one who very much keeps his position as the kingpin. Most importantly a visible reminder in both cases of how values create culture and how those values are learned and then shared and multiplied.